Stunning frontline air conditioned apartment with stunning sea and mountain views, set in beautiful gardens with large communal pool. 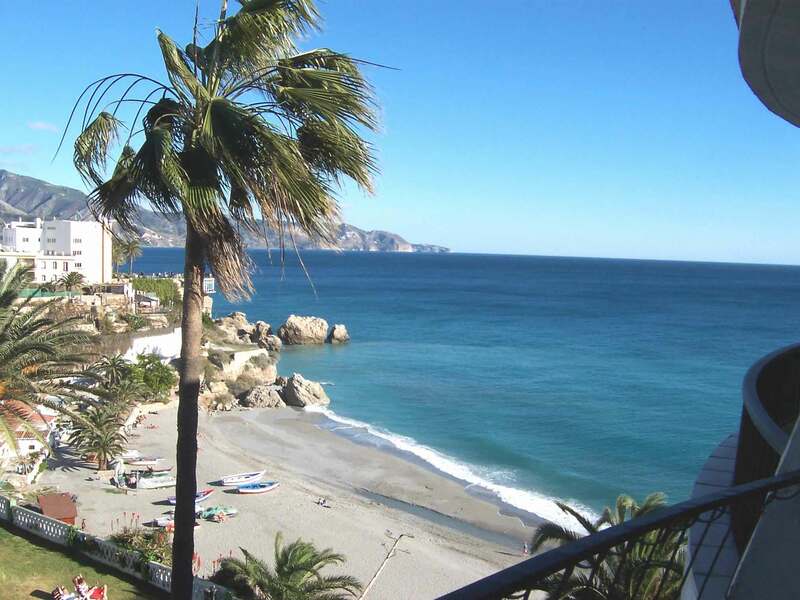 Nicely furnished in the Acapulco Playa complex in a quiet area of Nerja, yet only 2 minutes walk from the famous Balcon De Europa and the many quaint bars and restaurants of the old town. Comprising two double bedrooms (one with double bed, one with twin beds) with fitted wardrobes, fully tiled bathroom with shower and bath, spacious lounge with sat tv and fully fitted kitchen with cooker, hob, microwave and washing machine and fridge freezer. Large patio doors from the lounge lead onto the east facing balcony which has stunning views of the large communal pool, gardens, mountains, beautiful Playa del Salon beach and sea. 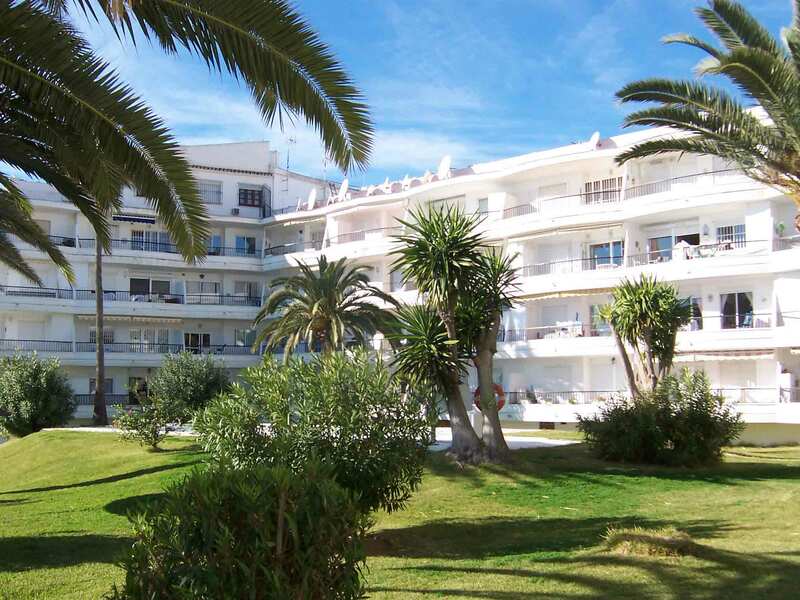 The complex has a large swimming pool set amongst the palm trees in the gardens with lovely views to the sea. Ideal for both families and couples. Added benefit of air-conditioning and Wi Fi. There is a private car park for the Acapulco visitors. It is situated on second floor and there is a lift. 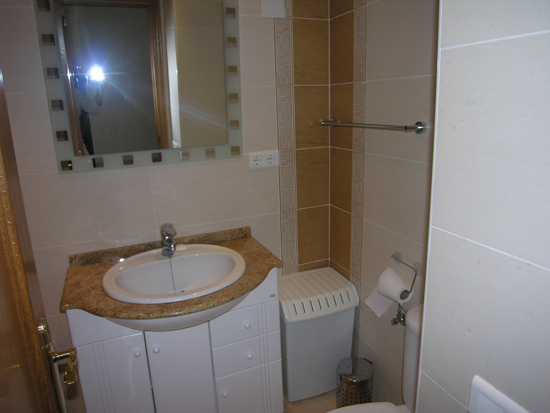 Apartment was very clean & had all the amenities required. Its perfectly placed within the block with glorious sea views. The private gardens which have a pool overlooks one of the beach coves. 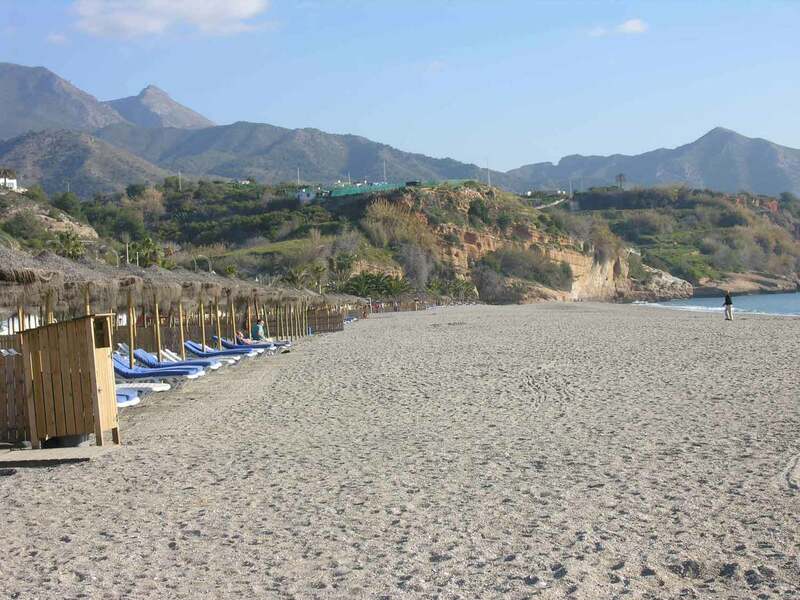 The Acapulco Playa complex is situated in the centre of Nerja & is only a few minutes walk from the Balcon area & the old streets where there are nurmerous restaraunts, tapas bars etc. Thanks for all your help. Had a great holiday despite some unseasonably poor weather. Apartment and complex are lovely and welcome pack was much appreciated. Will definitely return next year. Wonderful cosy clean apartment ,spectacular views. 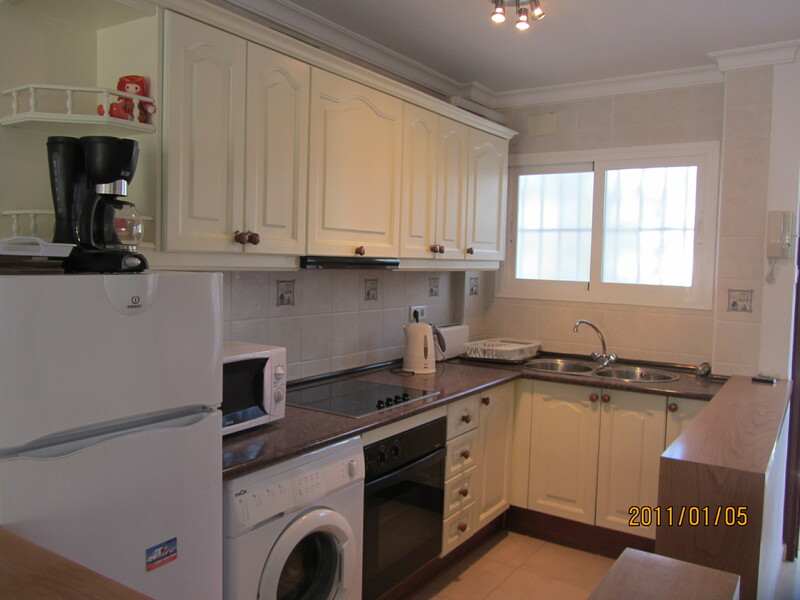 Lovely apartment, beautifully presented in a superb location - exactly as advertised. I have no complaints. Wilma was friendly and extremely professional - even rescued me when I couldn't find the apartment! Thanks again, would definitely use your service once more. We very much enjoyed our ten days at the apartment. The views from the balcony are exceptional. The location provides the best of both worlds with a short stroll up to the Balcon or just down the road, with plenty of good restaurants to choose from. Thank you for the welcome pack and organising the taxis which were spot on time both ways. It was also very nice to meet Gill and put a face to a name. "Just a note to say how much we enjoyed your lovely apartment. We all had such nice holiday, and enjoyed the perfect spot you have. The sea is something we always love, so of course the views were second to none, the pool and grassy garden was what the girls wanted, eating places so easy to find, we loved Bamboo the best and ate there most nights. What else can i say! If i have one thing to say and its not a complaint, is a shade on the balcony for the very hot morning sun would be lovely and a big improvement. 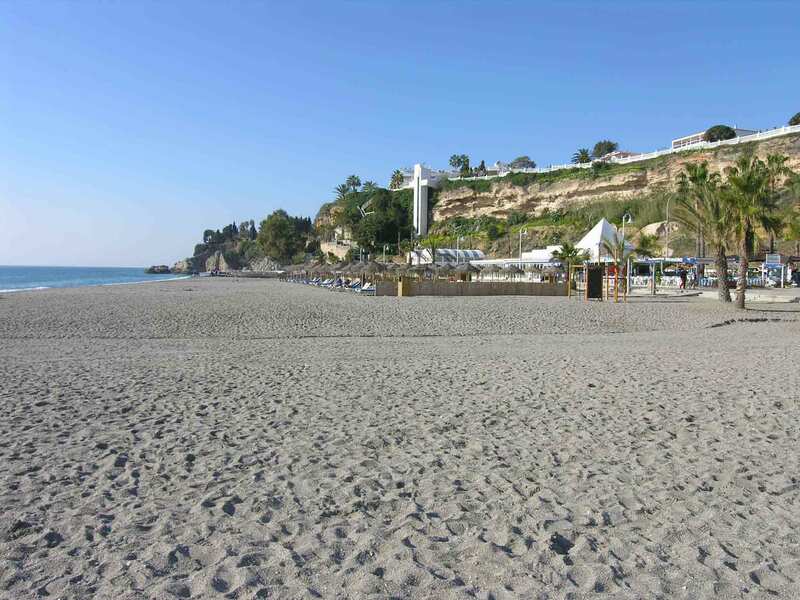 "We have just returned from our week-long stay in Nerja at the Acapulco Playa Apt # 27. I wanted to write to tell you how much we enjoyed our stay. The apartment was ideal for our needs, and we appreciated all the extra touches - like the welcome pack, and the fact that you went to the trouble to purchase a new coffee maker for us. The whole process from booking (apart from the issue with my credit card company regarding the payment), to the airport pick up, drop off and everything in between was worry free and went like clockwork. Our experience with your company could not have been better. In fact, we have already recommended you to our family (in Ireland - they did enquire regarding availability for a week in July, but everything was booked), and will continue to do so. Please convey our thanks to Gill and the rest of the staff. We hope that we left the apartment in an acceptable condition." "Back from the hols very rested and relaxed. We had a great time and everything was lovely in the apartment. Just wanted to say thank you and let you know we hope to be back, we have already highly recommended your apartment to any friends who wish to visit Nerja in the future. I also did mean to thank you for the welcome pack on arrival – it was much appreciated. 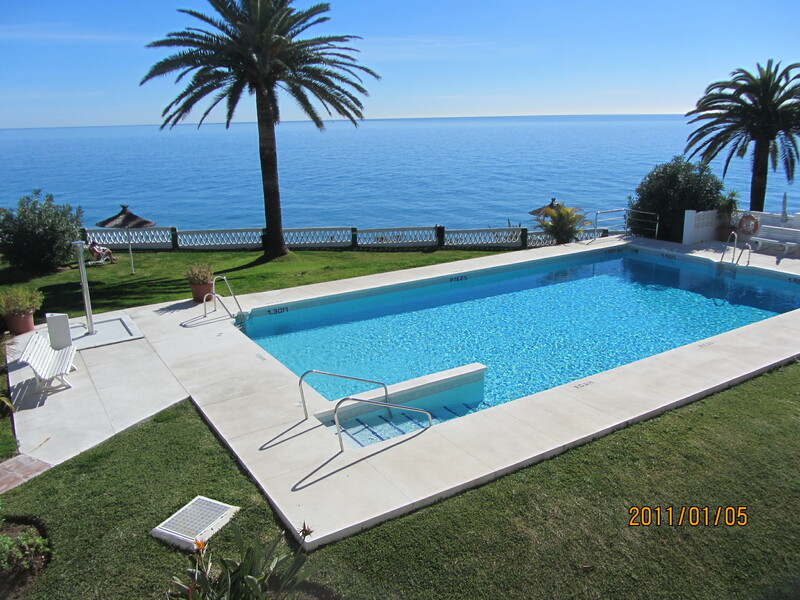 "We visited the apartment in late March/early April, having selected it because we are familiar with Nerja and the Acapulaco block of apartments. •	It is near several excellent restaurants, whether your choice is Spanish, Mexican, Italian, Chinese, Indian.... or what! •	There is quite a lot of information in the apartment about events and places to visits. In particular Nerja is famous for its festivals. Finally, do try out your Spanish on the locals, they love it and will be very helpful, appreciating the effort!!" We thouroughly enjoyed our holiday in Acapulco Playa, and Pauline was most helpful The flat was perfectly ok for us and we enjoyed the view over the Balcon de Europa. We were very fortunate with the weather varying from 16 - 21 degrees. We may well use you again in the future." Fantastic, clean accomodation with beautiful views over pool and sea. It had everything we needed and was in a perfect location for both the old town, beach, restaurants etc. We did hire a car to see surrounding area but certainly would not necessarily need one due to the central location. The key for the car park made it perfect - no fighting to park on the street at the end of the day. We are already hoping to return next year after enjoying our first visit to Nerja. - Kirsty, John, Eddie and Archie Smallman. Shropshire. 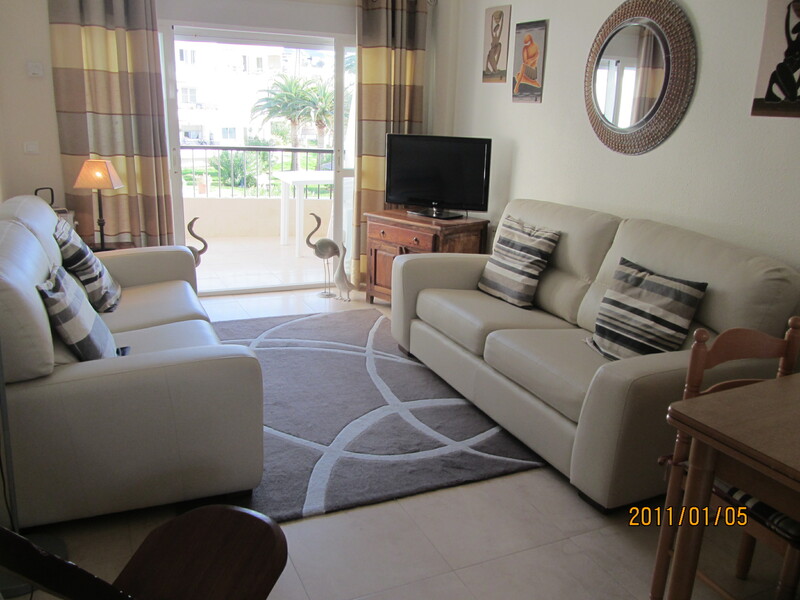 The apartment and furnishings lived up to previous standards and was very clean and tidy as was the whole complex. Thank you for your excellent communications, we would be happy to recommend you to our family and friends. We may be back next year. 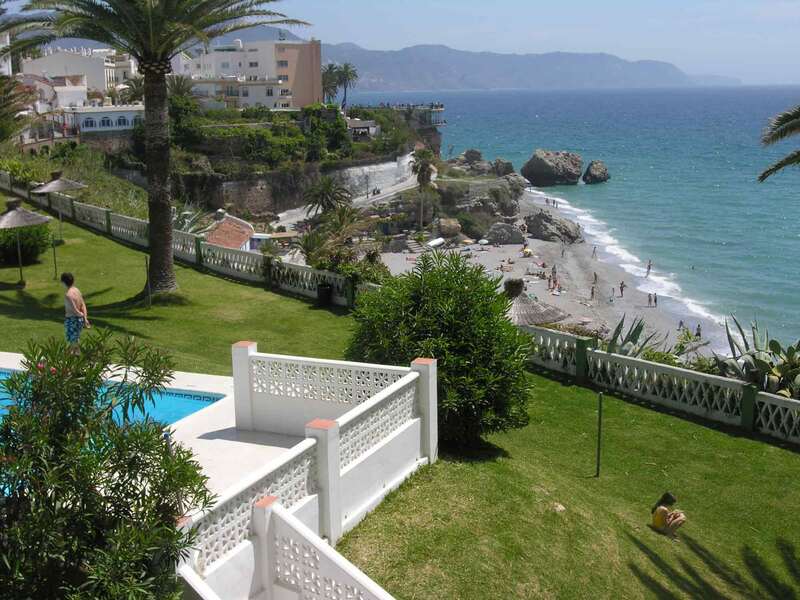 "I would like to thank you for the lovely apartment and facilities available to us during our stay at Nerja. So many times the destination has not lived up to photographs and descriptions, so this was pleasing. I found it very useful to have a washing machine in the apartment, as we were able to wash if necessary - rather than struggle. I was particularly pleased with the cleanliness of the apartment and the extra touches, including basics in the fridge. 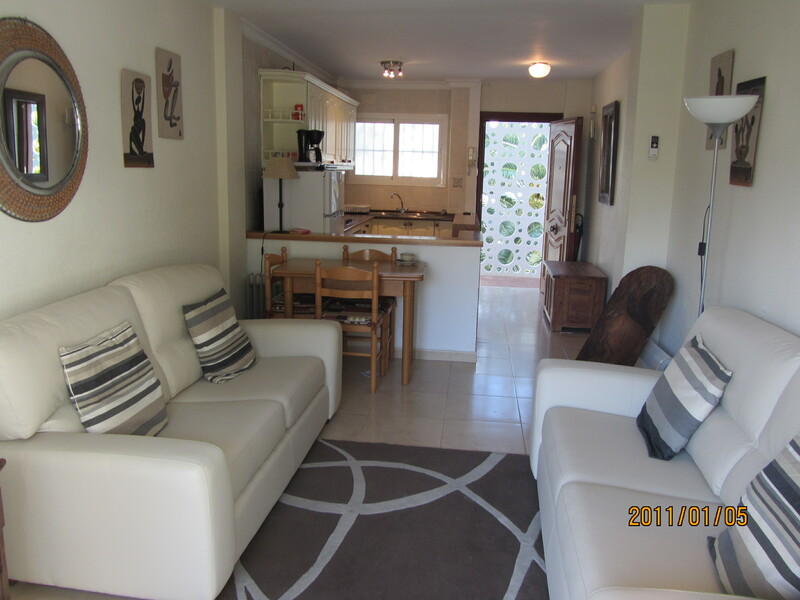 The accommodation was very clean and well equiped, the view over pool, beach and Balcon de Europe was perfect and location was excellent in terms of getting to cafes and restaurants. The grounds of the small complex and pool were very well maintained. 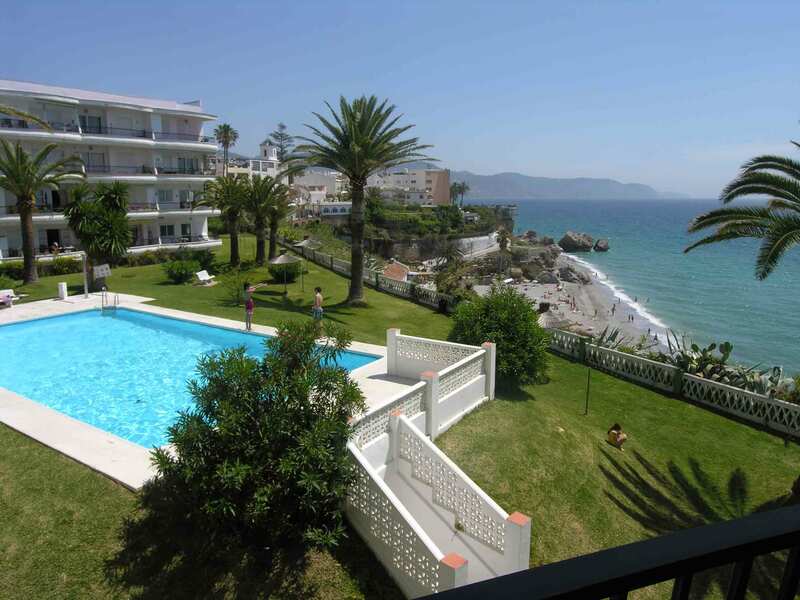 We have not been to Nerja before and would definitely return to this accomodation. Again an absolutely fantastic holiday. The apartment has one of the best views and is spotlessly clean. Pauline’s support throughout or holiday was excellent and the resort of Nerja is one of our favourite destinations from the beaches to the restaurants & the pool area, everything was as good as we remembered it the previous year. Absolutely fantastic apartment, well equipped, clean, more than comfortable, great location - we couldn't have asked for more. When we go again in perhaps 3 or 4 years' time we will definitely book this apartment again. Easy ref keys, towels etc and the welcome pack was great. Many thanks indeed.